Atlas Real Estate Partners, a privately-held real estate investment firm based in New York City, has been very active since its inception back in 2009. With a focus on value-add investments in multifamily, student-housing, retail, and office assets, the firm executed 36 deals over the last six years, for a combined value of more than $500 million. Run by Managing Principals Arvind Chary and Alex Foster, Atlas has offices in New York, Florida and Texas. The company recently made headlines with the $85 million sale of 777 South State, a 330-unit student-housing community in Chicago’s South Loop. Atlas Managing Principal and Co-Founder Arvind Chary recently offered CPE a glimpse into the company’s value-add strategy and Chicago’s student-housing market. A graduate of Tufts University and Columbia Business School, Chary previously worked with Woodlark Capital, Countrywide Commercial Real Estate Inc. and Boston Capital. Q. First of all, can you tell us what made you get into real estate? What drew you to this particular field? A. I was first drawn to real estate in college, while living in off-campus housing. After running a few numbers, I quickly figured out how attractive of an investment it was to own the house. After college I went to work for one of the largest owners of multifamily in the country and also worked at a student housing investment firm. At Atlas, student housing has always been a focus of ours. Q. Your company recently parted ways with a 330-unit student housing community in Chicago. Why was this property attractive in the first place, when you acquired it in 2013? A. We were attracted to 2 E. 8th St. (which we rebranded 777 South State) because it was located in a high-barrier to entry market and offered numerous value-add opportunities. The deal allowed us to utilize both our student-housing and repositioning experience to add value to an iconic asset located in a supply constrained submarket. The South Loop location provided convenient access to multiple universities and the in-place master lease with Columbia College offered downside protection. We were able to tie up the deal at an attractive basis, execute our business plan over 24-months, and exit at what we believe to be an optimal time in the market cycle. Q. Two years ago, you told CPE’s sister publication Multi-Housing News that you usually hold on property long-term, from five to 10 years. What made you decide to sell this asset after only two years? A. While we typically apply a long-term, value-oriented philosophy to real estate investing, we analyze our deals on a property-by-property and market-by-market basis. Upon executing our business plan, we felt it was an optimal time to exit given the market for institutional quality assets in core locations. The near-term expiration of Columbia’s master lease provides the buyer with the flexibility to renew Columbia and continue operating as a student property or convert the asset to conventional apartments. Q. During your ownership of 777 South State, what upgrades or improvements have you undertaken to make this community more attractive to residents? A. Over our 24-month hold period, we made a number of property improvements including implementing a summer housing program, modernizing the common areas, upgrading the building systems, and executing a minor interior renovation program. Q. Is the demand for student housing increasing in Chicago? Has the market changed in any way over these past years? A. The demand for student housing in the South Loop remains strong. What has changed over the past 24 months is supply, with a few new buildings coming online and targeting the off-campus student housing market. Furthermore, user demands continue to shift toward urban student-housing in transit-oriented locations that offer a full range of amenities and great service. 777 South State appeals to modern college student demands. Q. Forbes Magazine recently named Chicago one of The Best Cities for Millennials in 2015. How does this affect the city’s student housing market? A. Students are attracted to Chicago because of the combination of top tier universities, nightlife and cultural opportunities, as well as a plethora of internships and jobs for recent graduates. Chicago will continue to be a great student market. Q. What is your current overall investment strategy and what projects are you currently working on? A. We continue to seek investment opportunities built around capital preservation that also achieve stable, attractive current returns today, and outsized capital appreciation over the long-term. We’re currently under contract on an exciting value-add medical office property in Houston and have a number of other deals in the pipeline. A. 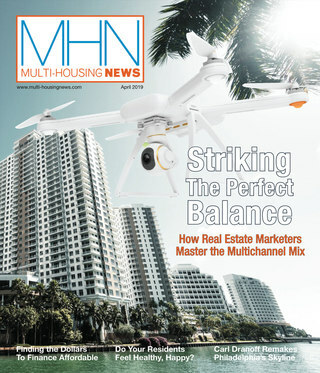 We want to thank MHN for your coverage of the multifamily market and continued innovation. 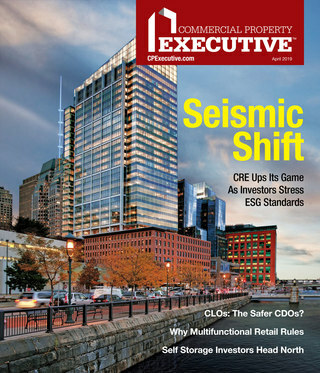 It’s the best source for multifamily owners to stay current on the latest trends and technology in the multifamily space.